This is not a story of forgiveness... The mystery of their best friend's murder drives four girls to destroy the Gregory family. Emily Thorne would be proud.Everyone at Hawthorne Lake Country Club saw Willa Ames-Rowan climb into a boat with James Gregory, the Club’s heir apparent.And everyone at Hawthorne Lake Country Club watched him return. Alone.They all know he killed her. But none of them will say a word. The Gregory family is very, very good at making problems go away.Enter the W.A.R.—the war to avenge Willa Ames-Rowan. Four girls. Four very different motives for justice and revenge, and only one rule: destroy the Gregory family at any cost. http://UnravelingWords.booklikes.com Unraveling Words 4.0 This is W.A.R. 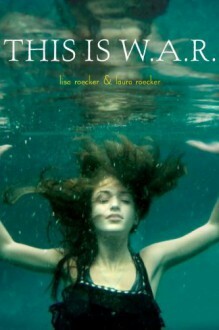 http://heretherebebooks.booklikes.com Here There Be Books (BL) 2.0 This is W.A.R.